Monthly rates do not include Insurance and Admin Fee. Your final reservation receipt will reflect the total move-in cost and charges. ✔ A valid major credit card. ✔ A government-issued photo ID (Driver's License, State ID, U.S. Military ID, or Passport). Stop-N-Stor Mini Storage Gives Back! Love this place! You can use their moving truck (+credit card +your own insurance) when you move in. All of the spots are drive up - no stairs. The hours of... Read More access are shorter than I'd like (and closed most holidays) but the price, friendly staff, and easy to drive to location more than make up for that. I've moved a few friends into here between apartments. After moving to a much smaller place I keep a storage unit for all of the furniture I need to sell someday. I was so glad to find this place. I've found myself having to available myself of a variety of storage facilities through the years, and this is a favorite. ... Read More The units are clean, policies clear, safe & secure, great communication, a personal touch, and Matt is the best! Stop N Stor runs a very efficient operation -making for a very pleasant experience. Moving and self storage is usually stressful, but they made the process... Read More really easy and affordable. They even let you rent a large moving truck the day you move in FOR FREE making it really easy to drop your stuff off. All of their units are very accessible in that you're able to drive right up to it -compared to larger warehouse storage where your unit might be down a large narrow dark hallway with multiple doors and codes to enter. Great customer service and great location and hours. Big fan here! very clean and secure -- friendly staff, convenient location. 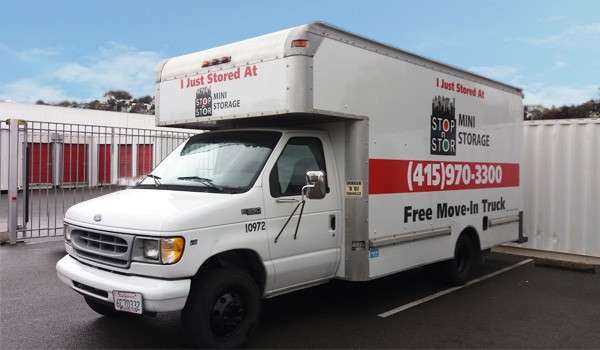 Conveniently located on Jerrold Avenue between Highway 101 and I-280, Stop N Stor Mini Storage, professionally managed by SKS Management, serves the San Francisco community with storage solutions for everyone from students to households or local businesses. 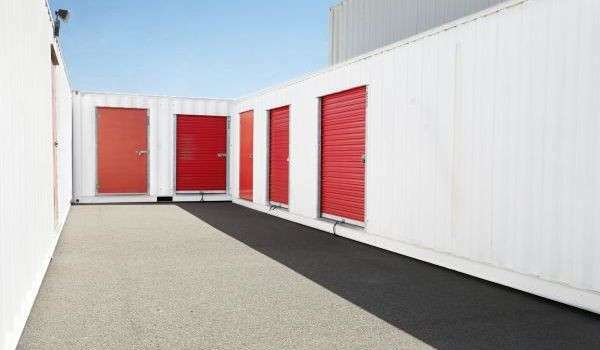 We offer many types and sizes of storage units in a clean, safe environment run by our dedicated and professional staff. 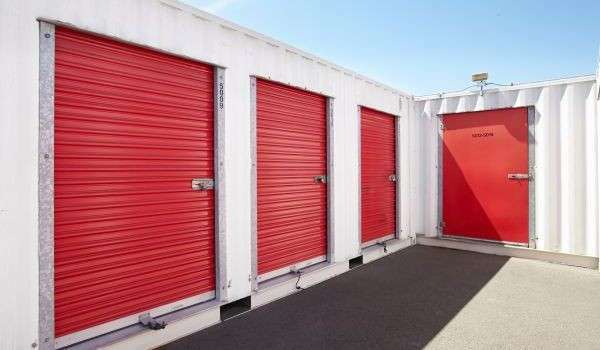 If you’re looking for extra storage space for your growing business, growing family or growing collection of equipment for Bay Area outdoor activities, there’s sure to be a storage unit to fit your needs. Using our personal Facebook sales page, we will work with you to help sell things you don’t want to hold on to anymore. We will help you take pictures, set up times and provide you a safe place to meet potential buyers: Right at Saf Keep! 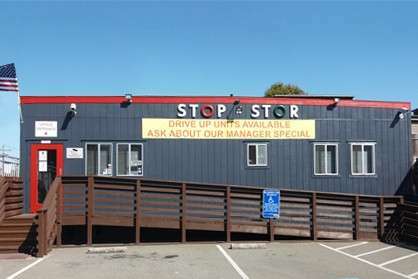 Our Stop N Stor facility features electronic gate access 7 days a week and 24-hour video surveillance, and all our units provide drive-up access with wide driveways. We also have storage boxes and other moving supplies for sale to make storing even easier for you. Are you a business owner who is looking for a stress-free way to handle package deliveries outside of your normal business hours? We can help with that, too. You can trust us to accept packages on your behalf and hold them for pickup. Restrictions apply. 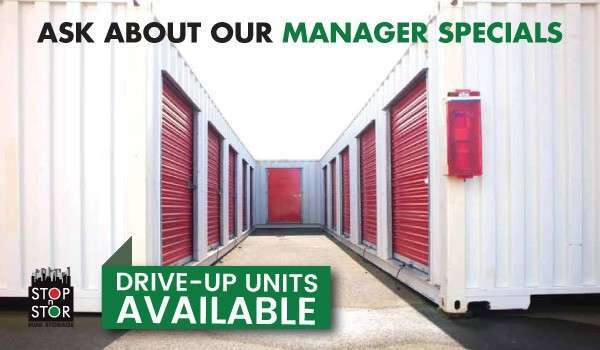 At Stop N Stor Mini Storage, we offer many different storage unit sizes to fit your needs. Units range from small 5 x 5 ft. closet-sized units up to 8 x 40 ft. Whether you’re after commercial storage or household storage, you’ll find the perfect fit. Plus, our month-to-month lease options make it fast and easy to store in no time. Speak with a storage specialist today to find out how our service makes a difference! Our gates are open 7 days a week, and at closing time every night, our staff makes the rounds for security purposes. Please let us know if there is anything we can do to make your storage experience easier and more convenient. Mon-Sat, 9:30 a.m. – 5:30 p.m.
Sun, 9:30 a.m. – 5:00 p.m.
Mon-Sat, 7:00 a.m. – 6:45 p.m.
Sun, 7:00 a.m – 5:15 p.m.